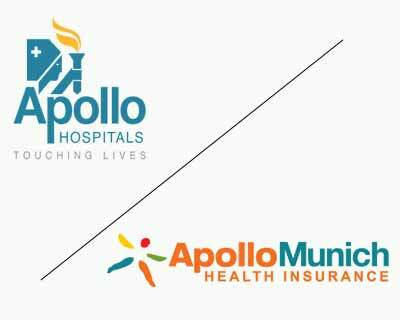 NEW DELHI: Apollo Hospitals Group firm Apollo Energy Company will sell 23.3 per cent of its shareholding in Apollo Munich Health Insurance Company to its German partner Munich Re for Rs 163.5 crore. Post the transaction, Munich Re’s stake in the insurance joint venture would increase to 48.7 per cent. Subject to various approvals, the deal is expected to be complete at the end of the first quarter of 2016, according to a statement. “The Board of Directors of Apollo Energy Company Ltd, an Apollo Hospitals Group Company, at a meeting held today, approved the divestment of 23.3 per cent shareholding in Apollo Munich Health Insurance Company Ltd (Apollo Munich) to its joint venture partner, Munich Re of Germany for Rs 163.5 crore,” it said. The proposed transaction values Apollo Munich at Rs 703 crore. “Post consummation of the transaction, Apollo Hospitals Group’s shareholding in Apollo Munich shall stand reduced from 74.4 per cent to 51.1 per cent. “Correspondingly, Munich Re’s shareholding in Apollo Munich shall move to 48.7 per cent and 0.2 per cent will be held by employees. Apollo Hospitals shall continue to hold its stake in Apollo Munich,” the statement added. Prathap C Reddy, Chairman, Apollo Munich and Chairman, Apollo Hospitals Enterprise said: “The show of confidence from our JV partner will go a long way in helping the Group achieve its vision of ‘Healthcare for all'”. The Government in March 2015 increased the foreign direct investment cap in the insurance sector from 26 per cent to 49 per cent. “With the increased stakeholding, we are strengthening our position for sustainable and profitable growth in this region. Apollo Munich Health Insurance is committed to make quality healthcare easy and accessible,” said Doris Hopke, the member of the Munich Re Board of Management responsible for Munich Health.